Want to “Become a Nine”? This year’s contest for a wildcard invitation to The Audi Nines is underway! See below for more details on how YOU can become the next featured rider at this exclusive event. The first wave of invited athletes have confirmed their place at this year’s Audi Nines. The list features heavyweights from the top rankings of their sports, as well as a healthy dose of young guns and up-and-comers to keep things fresh. The level of riding will be sky-high, with a total of 8 Olympic gold medals, 21 world championship titles and 123 X Games medals already represented in the riders’ list thus far. 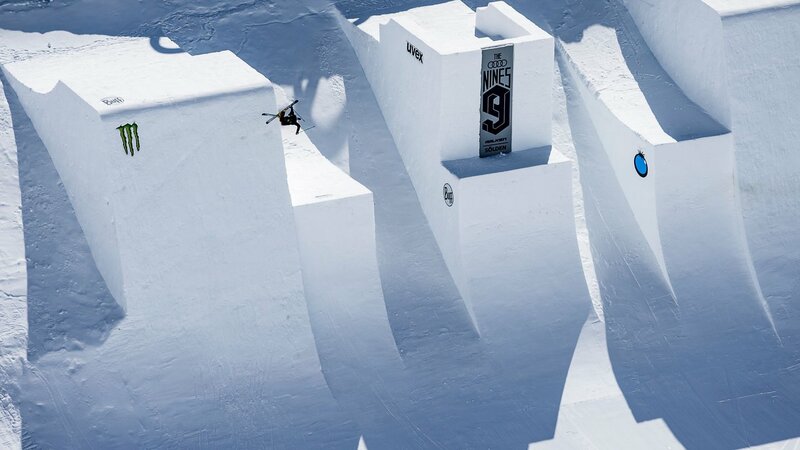 Alongside some of the best snowboarders on the planet, the Swiss power duo of Sarah Hoefflin and Mathilde Gremaud will join the party alongside other Audi Nines stalwarts like Coline Ballet-Baz (FRA), Johanne Killi (NOR) and Emma Dahlström (SWE). 17-year-old star Tess Ledeux (FRA) will also be present. For the men, two-time Olympic halfpipe champion David Wise (USA) fronts a list of amazing talent including Swiss phenom Andri Ragettli — the first skier to land a quad cork, at this very event — and other Audi Nines regulars like Jesper Tjäder (SWE), Bene Mayr (GER) and Alex Beaulieu-Marchand (CAN). Meanwhile, fresher faces like last year’s “Become A Nine” winner Alex Hall (USA) and Nines newcomer Ferdinand Dahl (NOR) will bring their unique styles to the table. For the first time in its history, the 2019 Audi Nines features two separate event setups — one for men and one for women — running concurrently. The all-women’s setup at Obergurgl-Hochgurgl provides the ladies with their own dedicated microcosmos. The women’s setup features two angled kickers, a massive Big Air jump and a unique “Space Age” jib designed with riders like Spencer O’Brien. On Wednesday April 24th, the women will welcome the Audi Nines men to their setup for a spectacular night shoot, open to the public to watch. 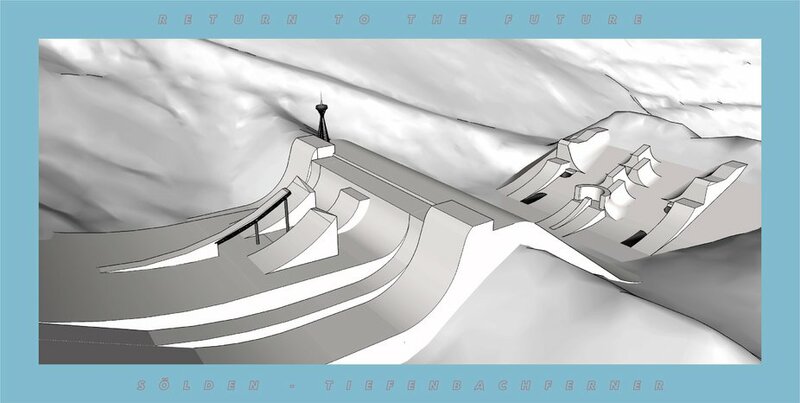 Meanwhile, up on the glacier at Sölden, the men’s venue will send riders into the stratosphere on a colossal quarterpipe, where snowboard legend Håkonsen and friends will see what they can achieve on this perfect platform for progression. They’ll be joined by skiers like Wise and Alex Ferreira (USA), who will be looking to push quarterpipe skiing to new heights. “If we have a perfect quarter setup and the possibility is there, I think with the right build a record jump is totally doable,” said Wise. 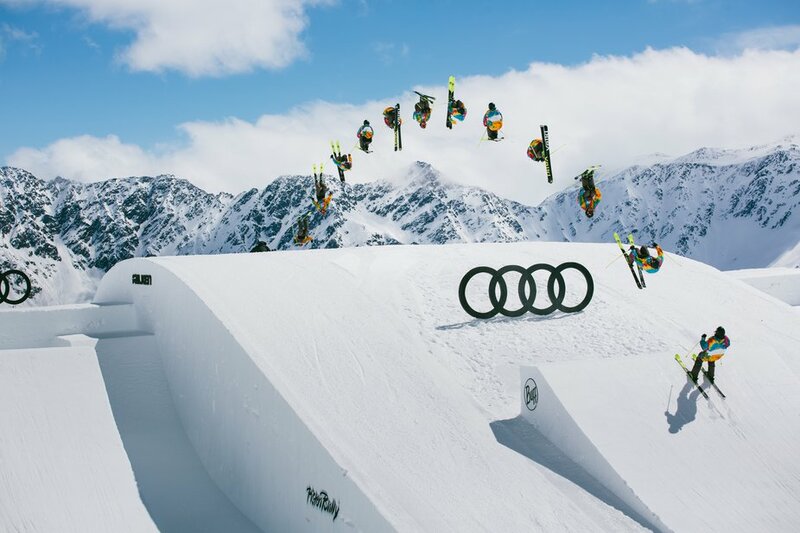 The men’s setup at Sölden also features two Big Air jumps flanking one the Audi Nines’ most visually spectacular features yet: a 10-meter high, 2.5-meter wide ramp dubbed “The Launch Pad,” which will propel those daring enough to try it over a 32-meter gap. 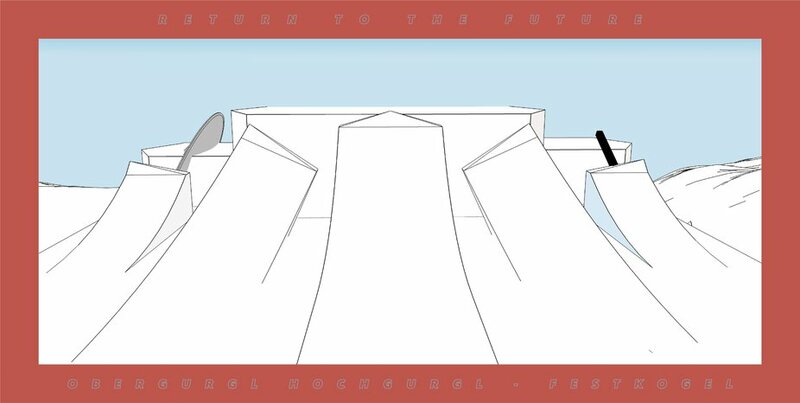 The lower section of the venue features a unique transition playground with a plethora of transfer options, a massive curved wallride, and some sneakily designed “wormhole” tunnels providing riders with unexpected shortcuts across the space-time continuum. This level of innovation in the course design wouldn’t be possible without the help of athletes like longtime Nines collaborator Jesper Tjäder, whose input has been crucial. “The transitions of the features, such as the open loops and transfer sections, will create rhythm and speed like no other course,” Tjäder remarked. The public contest day, when the entire event reaches its climax, takes place on the Tiefenbach Glacier in Sölden on the 27th of April. Don’t miss this one-of-a-kind spectacle, open to the public! 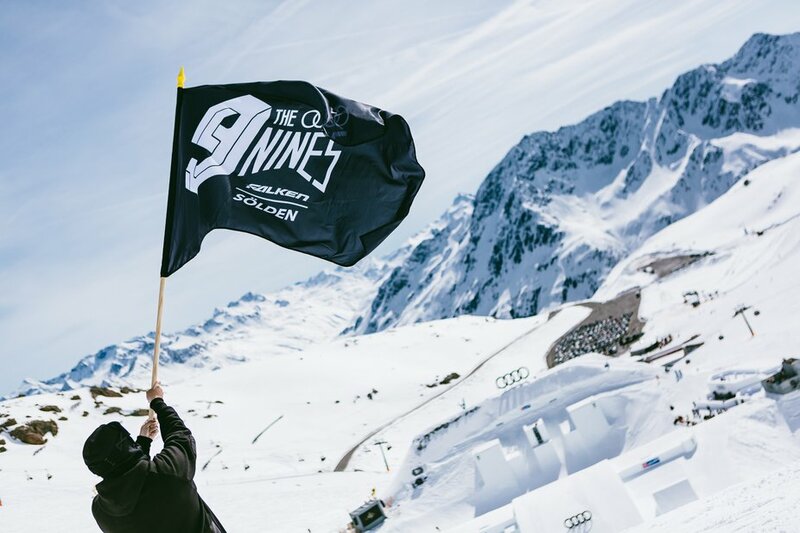 This is followed by an Après-Ski party outside Tiefenbachferner restaurant and the official Audi Nines after-party at the Cross Point welcoming spectators, crew and riders alike.